Unlike what usually passes for economics in many classrooms, government, the media and elsewhere, Choice is an engaging and intriguing book that provides something quite unique: a genuine treatise on economics that instructs and entertains both economists and general readers. Drawing on the seminal volume by the Austrian School economist Ludwig von Mises, Human Action, and comparing classical and neoclassical approaches, Choice is a creative, comprehensive, and unusually lucid book on economic science and market processes. The book illuminates free economies as underpinning civilization, the folly of government central planning, the primacy of entrepreneurship and innovation, the nature of money and banking, the causes of the business cycle, the failures of government intervention, and more. Why study economics? In Choice: Cooperation, Enterprise, and Human Action, Robert P. Murphy demonstrates that modern civilization itself rests on the market economy. Yet the market can function properly only if the government respects the institution of private property. Only if citizens learn the basics of economic scienceand apply what theyve learned to the task of shaping public opinioncan freedom, prosperity, and civilization survive in the long term. This book summarizes all that the layperson needs to know in this vital effort. Why should I rely on Murphys Choice, rather than Misess Human Action? This is a false alternative. Both books are important, but each targets a different audience. Although Choice draws on Misess magnificent treatise for its organization, its exposition is much more accessible to a modern reader, particularly the layperson. Murphys book is not a substitute for Human Actionfor those who can tackle itbut it is a logical first stop for those interested in the ideas of the Austrian School of Economics. Whats new in Choice? Murphy frequently includes numerical examples to illustrate a principle, which makes the book an ideal text for an upper level undergraduate course. For example, students will have a much easier time understanding the formation of barter prices, or the operation of a system of free banking, when they read Murphys text. Among other examples, Choice extends one of Misess brilliant analogiesthat of the master builder who must revise his architectural blueprints after realizing he has too few bricks to complete buildingto explain the harm caused by government interventions meant to forestall the liquidation of wasteful projects during an economic recession. Murphy also provides quotations from several of Misess rivals, to better explain the arguments that Mises fought against. The most ambitious, and arguably greatest, treatise on economics ever written was published in 1949Human Action by Ludwig von Mises. In that masterpiece, the learned scholar, who had fled war-torn Europe in 1940 and landed a visiting professorship at New York University five years later, summarized the state of economic science, especially as it related to the flourishing of a free and prosperous society. Mises valued the importance of educating the public about the basic teachings of economics, because public opinion ultimately shapes government policies that either support or sabotage the workings of the market economy. Human Action was Misess most painstaking effort to instill in the thinking public the profound notion that civilization rests on the basic fact that human society is vastly more productive when individuals work in cooperation with one another. Mises was uncompromising in his commitment to teaching the deepest truths about economic science and to enlisting the public in the defense of the free society. But as brilliant as Human Action is, its length and depth can intimidate many potential readers. Hence the present book. 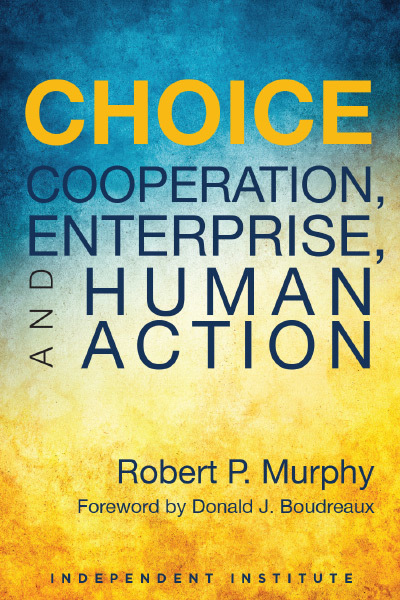 In Choice: Cooperation, Enterprise, and Human Action, economist Robert P. Murphy distills the essence of Misess treatise into a more reader-friendly package. But Murphys book is not a mere study guide to the great treatise; it is a stand-alone work that elucidates Misess most important teachings in a style designed to engage the reader but without sacrificing the rigor of the masters arguments. Murphy begins by explaining the historical context that gave special meaning to the phrase human actionshowing its fundamental importance to the study of man, society, and economics. From its inception through the founding of classical economics (the time of Adam Smith and David Hume), economists focused on the patterns observed in market phenomena, such as the connection between prices and costs or the influx of new money and the drop in its purchasing power. Later, however, the so-called Marginal Revolution of the 1870s ushered in a new way of thinking about economic affairs. Rather than focusing on the objective characteristics of physical commodities and labor-hours, economists began to study the subjective processes by which humans made choices. Economics was now embedded in the larger enterprise of the study of human action itself. After defining human action as intentional behavior, Murphy spells out some of the implications of this idea. For example, if an action takes place, there must be an actorthat is, a volitional being, one who chooses among various alternatives for the sake of achieving a desired outcome. For without the presence of goals or preferences, Murphy notes, it would make little sense to classify an observed behavior as intentional. After laying the foundation of economic science (in the tradition of the Austrian School), Murphy elucidates some of its most crucial insights. Chief among these is the recognition that modern civilization depends on the higher productivity of labor that results when people cooperate with each other, rather than when they work in isolation. This basic fact provides a pragmatic rationale for many social institutions, such as our moral intuitions and the private-property rights that characterize the market economy. The overarching importance of economic calculation to the market economyand hence to modern societyis a key them of Murphy (and Mises). Economic calculation is the process that decision-makers use to make rational comparisons between outputs of a production process and the inputs that make them. Nearly all economists agree that economizing on the use of societys scarce resources is necessary for making optimal production choices, but Murphy explains why Misess writings on this subject were path-breaking. Mises showed that economic calculation requires that a society recognize (and enforce) private-property rights not only in consumer goods, but also in the means of production, such as farmland and factories, and it must utilize money. Without these institutions, productivity will suffer, leading ultimately to a breakdown in the division of labor. In short, humanity can reap the benefits of economic calculation only if people allow the free functioning of the market economy. Governments throughout history have violated private-property rights and thus have interfered with the operation of the free market. To understand the effects of such interventions, it is necessary to imagine what the world would be like in their absence. How would a free-market economy operate? In the Misesian vision, entrepreneurs are the driving force of the market, but ultimately they are subject to the final verdict of their bosses, the consumers. The minute details of the formation of market prices (for example, how wage rates and apartment rents are determined, as well as the price of peanut butter) are best understood in this context. 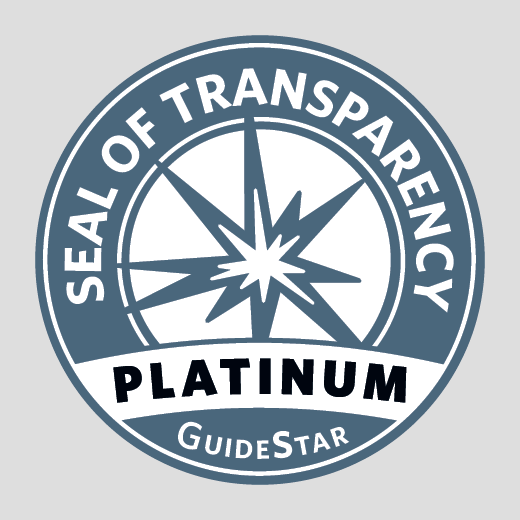 Market prices convey information, and they help producers and consumers coordinate their plans in light of individual subjective preferences and objective facts about resources and technologies. Although some of the material in this section of Choice is standard in book about economic theory, Murphy emphasizes the contributions made by Austrians economics in general and by Mises in particular. Consequently, Murphy lays out the problems that economists in the late 19th century encountered when they tried to apply the new subjectivist framework to moneyand how Mises solved them. Murphy also provides a very readable discussion of banking, as well as the complex topic of capital and interest theory. and his student F. A. Hayek (who won the Nobel Prize in 1974 in part for this work), this theory explains business depressions as the necessary consequence of a preceding boom period. Specifically, commercial banks (nowadays operating in league with the central bank) flood the economy with artificially created money and credit. This credit expansion pushes down the market rate of interest below the natural rate, giving a false signal to entrepreneurs. As a result, the physical capital structure of the economy becomes distorted, setting up businesses and workers for a painful fall when the boom collapses. After applying the tools of economic science to the study of the pure market economy, Murphy turns his attention to a pure socialist society, in which the state owns all of the means of production and thus decides what will be produced and how the output will be allocated. Here Misess famous argument for the impossibility of economic calculation under socialism comes into play. Without competing buyers and sellers in the markets for factors of production such as farmland, iron ore, and shares of corporate stock, there are no genuine market prices for these inputs, and hence no rational method for even the most benevolent central planners to use to prove that they are helping their subjects. At this point in Choice, Murphy has demonstrated that entrepreneurs in the pure market economy possess the potential to rationally allocate scarce resources in ways intended to satisfy the desires of the consumers. He has also shown that a pure socialist society cannot match their performance; even if socialist planners mean well, without market prices they have no reliable method for discovering how to devote resources to their most important uses. This shortcoming leads some people to mistakenly conclude that the best economic system would rely on a third way, one that harnesses the dynamism of capitalism while retaining the egalitarianism of socialism. Murphy, however, shows that this dream cannot come true. Interference in the workings of a market economy create unintended consequences that make problems worse. For example, minimum wage laws are intended to boost income among the least-skilled workers, but they result in high unemployment among this demographic. Price ceilings on food, another common proposal, are intended to keep necessities affordable for the poor, yet they result in shortages that often prevent the poor from finding any of the food products subjected to price controls. Echoing Mises, Murphy argues that people must make a choice: Either they support a market economy, even though some of its outcomes may be undesirable in the eyes of some observers, or they support full-blown central planning. Any attempt to strike a balance between the two will be unstable, as new problems will surface that will be subdued by further intervention only temporarily. In the final section of Choice, Murphy explains why the study of economics is unique. When it comes to physics or engineering, it doesnt really matter whether the public understands the cutting-edge theories. Researchers in these disciplines can produce their results independent of public opinion, in ways that will speak for themselves, in the form of faster computers and bridges that better withstand natural disasters. In contrast, for the results of economic science to be useful, it is necessary for public opinion to support the institutions of the market economy. It matters little that economists themselves understand the benefits of free trade, if politicians habitually cater to an ill-informed electorate by imposing trade tariffs. Following Mises, Murphy concludes Choice by urging readers to join the crusade to spread the ideas of economic liberty far and wide. Ultimately, the choice is: cooperation versus compulsion; prosperity versus stagnation; civilization versus barbarism. The choice is ours. Misess Human Action has long been the most important and most challenging book to read on Austrian economics. Robert Murphy has substantially reduced the challenge by presenting the books ideas in an accessible form, linked to contemporary concerns. Choice also provides an excellent introduction to the Austrian school in general. It deserves to be read, and read widely, and will contribute significantly to fulfilling Misess own desire that everyone should know economics, not just experts. Mark A. Skousen, Presidential Fellow, George L. Argyros School of Business and Economics, Chapman University; Founder and Producer, FreedomFest, Inc.